“As his mother looks on, six-year-old David plays with a water hose during one of his initial ventures outside the confines of the Texas Children's Hospital in Houston in June 1978. David was born at the hospital with an extremely rare hereditary disorder known as severe combined immune deficiency. Because his brother had died of the disease, doctors immediately placed David into a plastic isolation unit that acted as an artificial immune system. The NASA-made mobile isolator system shown here allowed him a degree of mobility. 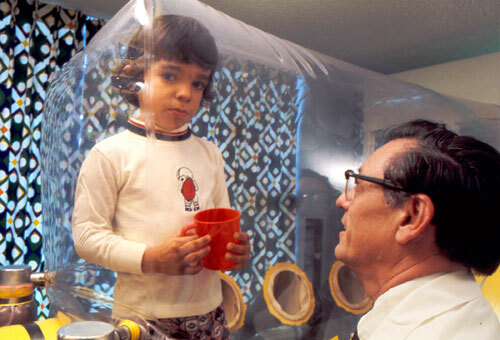 David, who became known to the world as “the boy in the bubble,” lived in such isolators for nearly 13 years. He died on February 22, 1984, following an unsuccessful bone marrow graft, an attempt to provide him with the capacity to make antibodies on his own and thus free him from the bubble. Notes Acquired, 1986. The Mobile Biological Isolation System was developed by NASA at the Lyndon B. Johnson Space Center. 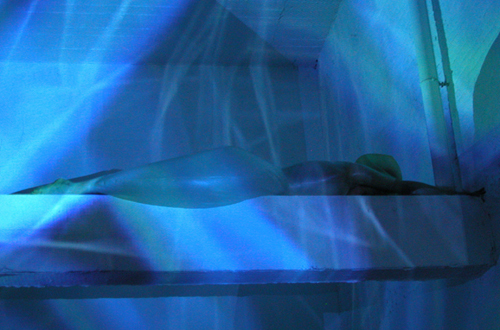 Ana_Rewakowicz: Uniblow Outfits 2001-2002, Two inflatable outfits made from rubber latex and shoe-pumps. 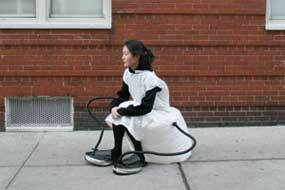 Self-Sustainable Chair, by Joo Youn Paek .The dress is made up of 7 trash bags, 2 foot-pumps and a pair of slippers. 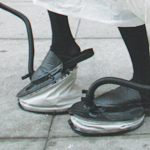 The shoes pump air into an inflatable bubble attached to its rear part on each step, slowly turning the garment into a chair. The chair is slowly deflated under the weight of the wearer, motivating him or her to consistently switch between walking and sitting as a loop behavior on the street. 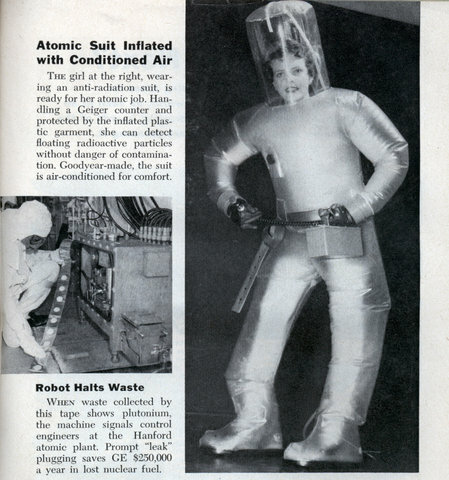 The balance between exercise and rest would be maintained by wearing this suit. The purpose of this project is to transform the humdrum experiences produced by routine walking commutes into an amusing interactive performance. Yoshiki Hishinuma'wind collection from 1991 is often constructed form geometriacal triangles. Basically instead of using heavy hydraulics, the exoskeleton uses air compression, which can help bend or straighten arms. 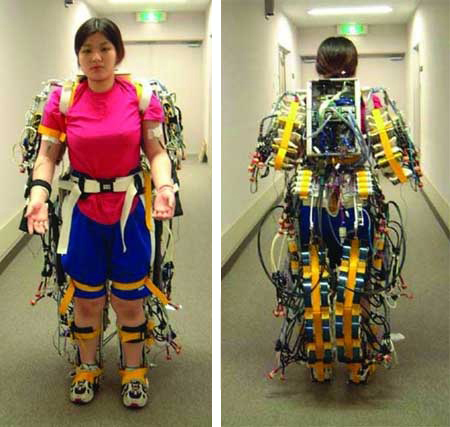 The suit mimics the body's system of connecting muscles to bones via tendons. It could be used to boost the strength of specific muscles, such as biceps or triceps. 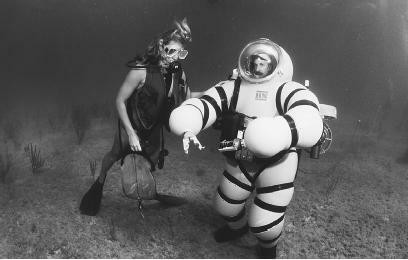 The artificial muscles are made up of inflatable rubber tubes surrounded by flexible metal mesh connected at each end to the joints on the suit. 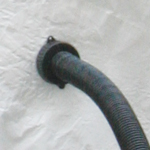 When the tube inflates, the mesh bulges, which in turn pulls each end in and shortens the artificial muscle. Pressure sensors all over the suit would tell the artificial muscles when to kick in. Monty Python featuring golden “Trim Jeans”. They sponsored “Trim Jeans Theater Presents” which among other things enabled you “to enjoy the poetry of T. S. Eliot whilst losing unsightly tummy bulge”. Imagine a new version of “Treasure Island” where the cast have donned golden sauna pants to lose inches off their hips, thighs, and buttocks.